JUNEAU – Today, Representative Geran Tarr (D-Anchorage), Representative Beth Kerttula (D-Juneau), and Representative Harriet Drummond (D-Anchorage) pre-filed legislation to guarantee Alaskans can earn paid sick leave. The legislation (HB227) would require businesses to allow those employees to earn paid sick leave at the rate of at least 1 hour of leave per 40 hours worked. Women in Alaska are twice as likely as men to be single parents, and many work jobs that do not offer sick leave, forcing them to face the dilemma—health or work. “Alaskans, both men and women, work hard for their wages, and they shouldn’t have to decide between the health of their families and putting food on the table,” said Kerttula. This legislation is part of a suite of bills from Kerttula, Tarr, and Drummond designed to promote women’s health, safety and economic opportunity in Alaska. Other legislation includes bills to expand Denali KidCare, teach children how to prevent child abuse, create safe places for breastfeeding in the workplace, and re-instate the Alaska Commission on the Status of Women. 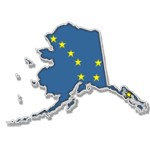 The new bills complement existing legislation (HB37) and upcoming budget requests to make child care more available and affordable for Alaskan parents looking to re-enter the workforce, to help child care businesses train and retain quality caregivers, and to ensure hospitals and the crime lab have the tools they need to bring rapists to justice.